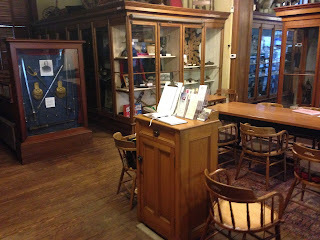 It’s been a very busy season here at the Natick Historical Society! After the very successful series of school programs that we finished this spring, this summer has been filled with new projects. We’ve been renovating, researching and even getting in a little seasonal cleaning! This post should bring our readers up to date on some of our more recent projects and what you can look forward to seeing the next time you visit our museum. 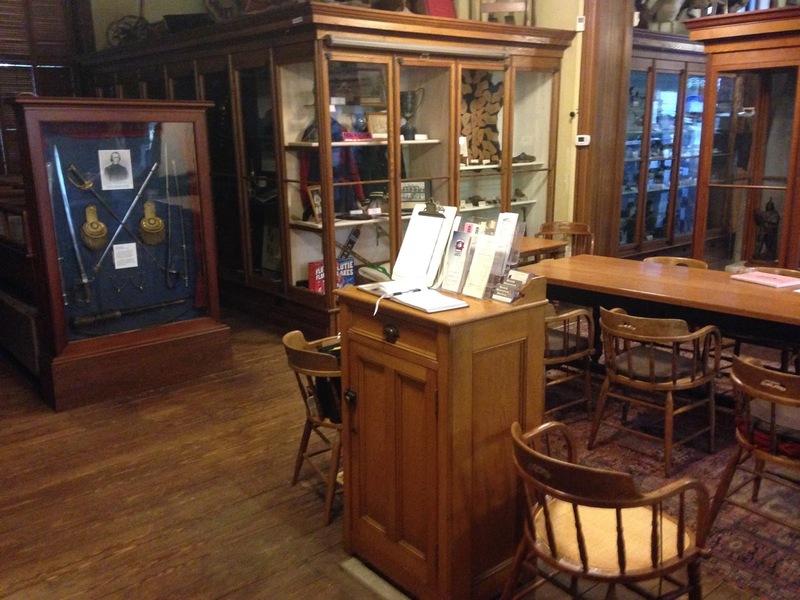 The Natick Historical Society- Now with More Room! it previously housed, “Project Passenger Pigeon” has temporarily flown the coop, so to speak. However, a new exhibit, focusing on our passenger pigeon specimen, conservation and the history of birds in America will be opening this fall at the Morse Institute Library in Natick Center. An especially exciting change has been the redesign of our Birds of America case. The Natick Historical Society has a rather large collection of taxidermy mounts of birds, dating from our early history as a historical and natural history society. Many of these birds are now over a hundred years old and are just as much historic artifacts as they are scientific specimens. Our newly redone case has been painted, cleaned and had new lights installed to really show of the brilliancy of some of our birds plumage. The birds have been carefully cleaned so that they can show of their bright colors and plumage. The bird specimens were originally preserved using arsenic, which in the late 1800’s was not an uncommon practice. This makes interacting with these pieces for long periods of time somewhat dangerous, so our conservation and cleaning of the birds had to be a very careful process. The birds have now been thoroughly primped and cleaned and are back in their case looking better than ever. We’ve printed new labels for all of the birds and reorganized them within the case so that this unique part of our collection can be highlighted to the extent it deserves. One particularly interesting part of this case re-installation was researching the new labels for each of our specimens. Many of the scientific and common names for our birds have changed since 1880. A number of the birds were labeled using the names found in James Audubon’s The Birds of America, which are no longer in use in the scientific community. Discovering the exact identities of many of our birds proved to be quite the challenge! But, with a good deal of research and some help from our friends at the Broadmoor Audubon Wildlife sanctuary, we have been able to successfully identify all of our birds. To learn more about the early history of the society and some of our bird specimens you can read previous blog entries here. The next exhibit change that is already underway is our new hallway exhibit. This exhibit, titled “Our Story” will be making its debut this fall. 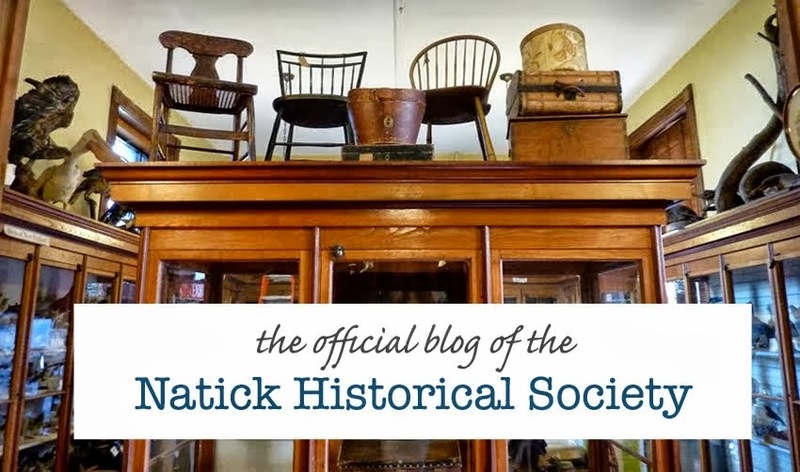 This exhibit will feature several items from our collection and will tell the history of the Natick Historical society as well our building, the Bacon Free Library. Exhibit construction is already underway and we are excited to be able to share the history of our museum with as many people as possible. We have a very busy fall planned here at the Historical Society, with events every month and several other new exhibits in the works. 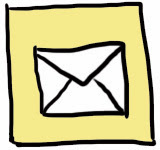 Be sure to check our Facebook page for updates as they develop and we hope to see you this fall!